A build up of plaque and tartar on your teeth can lead to dental decay and cavities, which can cause you pain and discomfort and can lead to more serious dental health issues. But we offer a wide variety of solutions and services, known as “dental restoration,” that will help resolve the issue and take away your discomfort. If you come in complaining about a toothache, our dentists will perform a thorough exam to determine the cause of the problem and suggest a solution that will best rejuvenate your smile. Cavities are caused by an build-up of plaque and tartar on the enamel of your teeth. The dentist will remove the decay and clean the damaged area before filling the space with a porcelain material. If the tooth already has multiple fillings or if there is an extensive amount of decay, the dentist may suggest a crown. First, the decay will be removed and then the tooth structure shaped to provide the best support for the crown. 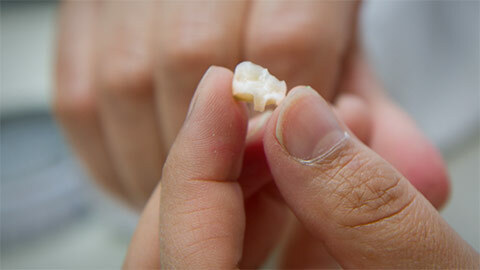 The crown is then fabricated in a lab, custom-fitted perfectly to your mouth. The crown is then cemented in place, and your new tooth looks and functions just like a completely natural tooth! An inlay is added to the spaces in between the cusps on your tooth. Usually the dentist chooses to offer an inlay when the tooth structure is at risk. An inlay is custom made in a lab to fit into the hole created by the decay and its removal, and can be very long-lasting and very durable. Similar to an inlay, an onlay is custom made to fit your tooth but is made to cover one or more cusps. These are also known as “partial crowns" due to their size and durability. If the tooth is beyond repair your dentist may recommend inserting a bridge. A bridge involves removing the damaged tooth, and then preparing the surrounding teeth as crowns so that they can support a replacement tooth. The replacement tooth is then cemented between the adjacent teeth, creating the bridge. 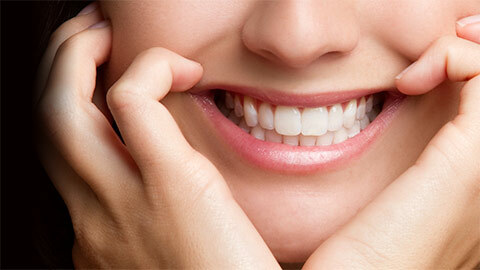 If you need more information about Dental Restorations in SE Calgary, contact us today.